The Standing Stone: Forelacka, Tumulus, Co. Offaly. Location – In the Slieve Bloom Mountains near the holy well at Cumber Upper and standing stone at Glenafelly. Description and History – This is yet another site that I will have to go back to. A lack of time and confusion over access meant we didn’t get to see the tumulus. The reason why I want to see this particular mound is because of the suspicion that some archaeologist have that this mound is hiding a megalithic tomb. It is roughly 3m high and 19.2m in diameter. All I have to show for my visit is a blurry photograph of half the mound. I intend to go back here and expand on this page and, of course, provide better photographs. 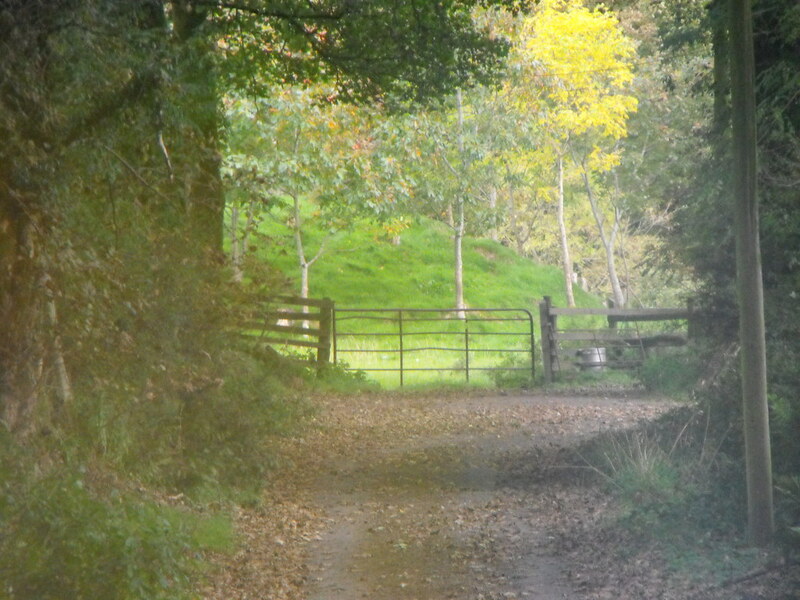 Difficulty – The mound is located, according to the map, along an official nature walk on the Slieve Blooms. However, when you get to the site there are a lot of signs warning that the land is private and trespassers will be prosecuted. I am a bit confused about the right to access. Because of the confusion over access all I have to show for my visit here is one slightly blurry photo of half the mound. Disappointing I know but at least I have a reason to go back. I was here last weekend and met the new owners wife and she told me in no uncertain terms that all ramblings had been stopped here and that all the lands were private and there was definitely no access. That is a shame...it is becoming increasingly hard to get to some places in Ireland.